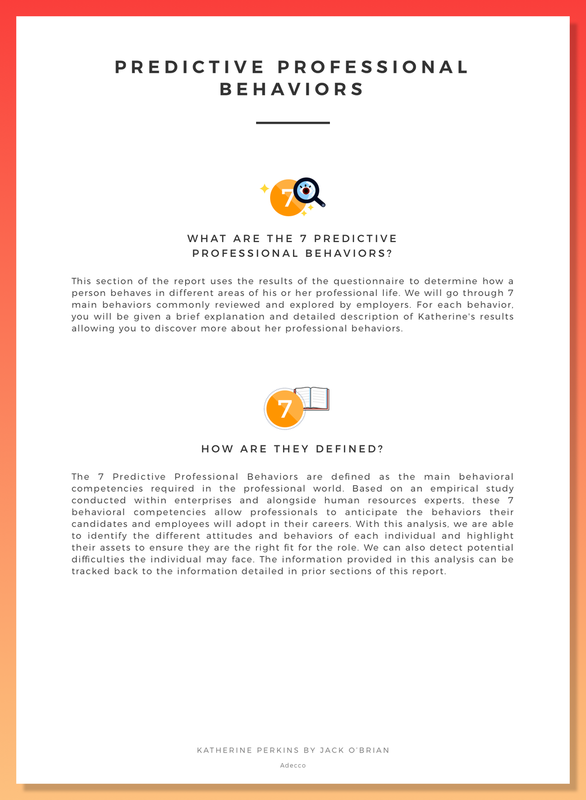 This project is similar to the Target Profile report. 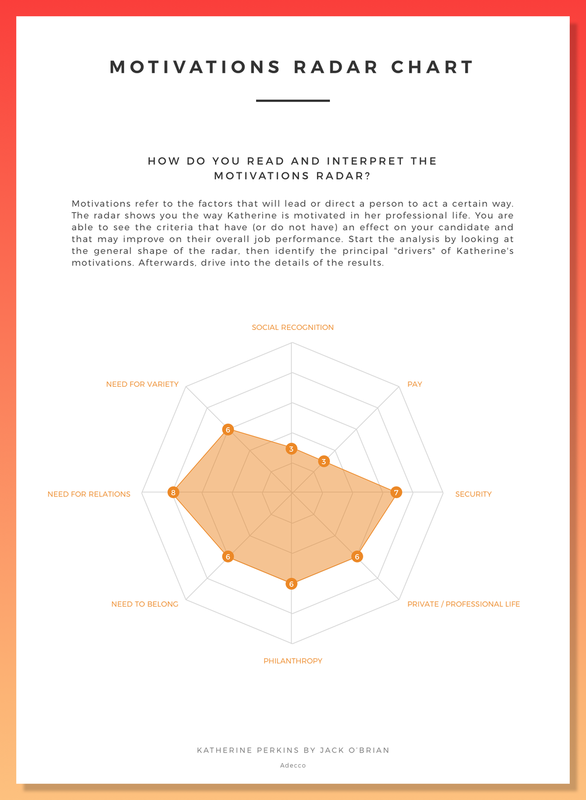 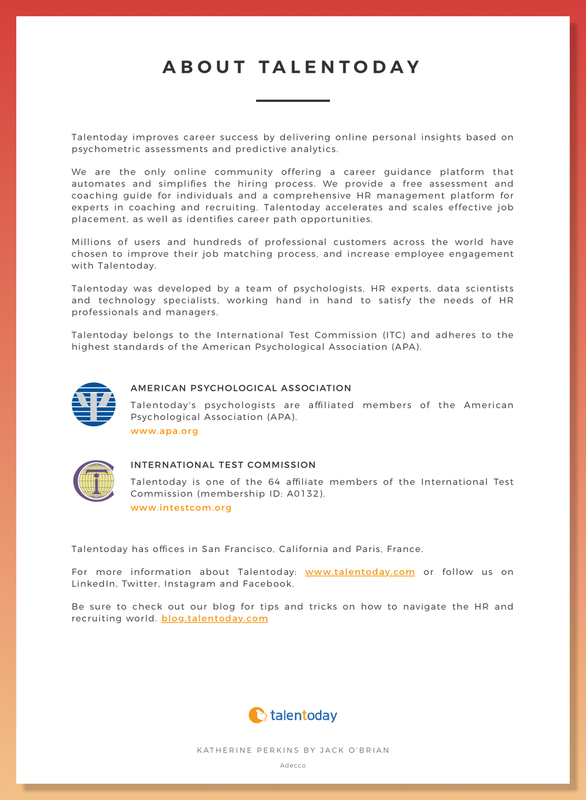 The purpose was to design a personality and motivations report of Talentoday users. 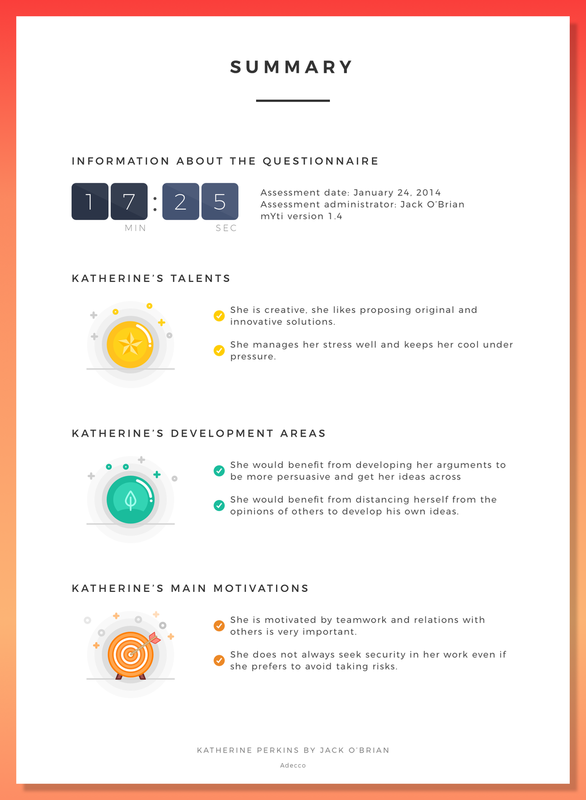 All the details of my work and process can be found on the Target Profile report project.